Over the course of the past eight days, I was as good as I could be. I really was. However, being that we were on vacation in a part of the country where fresh wild-cought seafood is a local delicacy, Sherry and I decided to partake, even if that meant our meals were not 100% Paleo compliant. 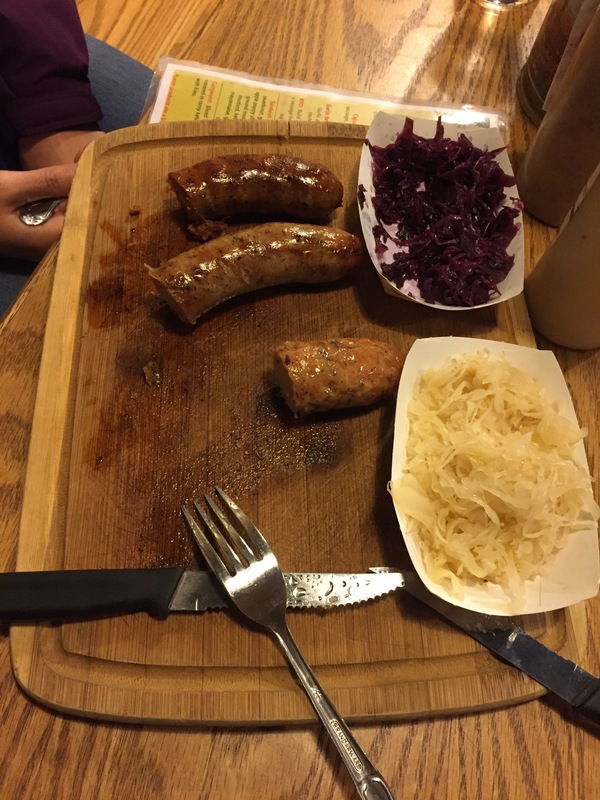 Our first few meals were Paleo; we left anything that didn’t comply on the plate. After that, however, we decided that while we weren’t going to go out of our way to order “bad” things, we weren’t going to exclude the “bad” foods either. We had some amazing desserts, muffins, and breaded food that we otherwise would avoid. The upshot was that our stomachs rebelled with pain, but with all the exercise we were doing as well as the portion control we were employing, I’m happy to report that my clothes still seem to fit the same. Something that neither Shery nor I were expecting; we are both looking forward to getting back to our regular diet. Our meals were, often, too large, and the foods were often very rich. Not that our regular food is bland, but it definitely has no sugar in it! It’s amazing how I could taste the foods that had added sugar in it. My lips actually burned a bit! Sherry felt bloated, and I felt sluggish after eating the “Bad” foods. It was enough for me to miss my good ol’ Paleo foods. It’s important to note that at no point did Sherry and I say, “Screw it. We’re going to eat all the things.” We always considered what we were eating, and we would split portions of foods that were not Paleo compliant. We ate everything in moderation, and on at least three or four days, we ate completely Paleo compliant. I’ve read on more than one blog that when on vacation or at special occasions, “You gotta live.” Well, Sherry and I did just that; we lived. And we enjoyed ourselves. Now we are ready to return to our regular eating and feeling healthy again. Ever since my wife and I were married, we’ve tried to take at least one major vacation a year and numerous small weekend or even day trips. The limiting factor, of course, was having children who had their own activities as well as our responsibilities to work. Now that the kids are grown and out of the house (mostly), Sherry and I have been able to take our first major trip in two years. In the past, our trips would involve maybe one or two activities a day. This was to account for my lack of being able to physically do more. It was hard for me to go from place to place, especially if it involved a lot of walking. Sherry would find herself alone in the mornings while I rested/healed from the previous day until I awoke. I would slowly get going, and we would begin our day. After the two and sometimes three activities for the day, we would settle back down and begin the rest and recuperation for the next day. If the activities were especially strenuous, we would space them out to allow me time to rest between them. This meant that our trips, while fun, were not as packed in with adventures as we would have otherwise liked. Not only were we able to walk in the city, but we actually were able to get in quite a bit of actual hiking. And when I say hiking, I mean the kind where you actually walk off-pavement and on trails, up and down hills, and sometimes even on huge rocks and boulders. It was something I haven’t done since I was a Marine, and I really had a lot of fun doing so. I remembered the many walks I would take with my grandparents in wooded areas, and at the last waterfall we visited, I actually felt my grandmother with me. I know she would have loved the scenes we were viewing. This trip was our huge reward for all the work we did in getting to this point in our healthy lives. It was also our 13th anniversary, and I can’t think of a better way for us to have celebrated our marriage and our new lifestyle. I can’t wait for our next adventure now. I know my body is up for it. This is a completely new experience for me: flying in economy class while not being uncomfortable. Flying as a fat person is a special hell. It involves being both physically and emotionally uncomfortable. I’ve experienced all the indignities of being a fat passenger on an airline flight, from the looks of passengers hoping and praying that I won’t be the person sitting next to them to the embarrassment of having to ask for the extra seatbelt strap. I’ve sat scrunched into seats that felt too small for me, needing to always sit in aisle seats so I could lean out a bit to not crowd the person next to me (all the while getting hit or bumped by every person walking down the aisle and getting banged into by every cart going up and down the aisle). There was also the sweating; partly due to the fact that as a fat person, I was too insulated for being in such close quarters coupled with the high stress I was under. Tray tables? Hah! I could never open one; my gut was in the way. I won’t even get into how cramped and tiny the restrooms felt. I used to love flying as a kid, but as a fat adult, I dreaded it. The experience was something I would stress over. 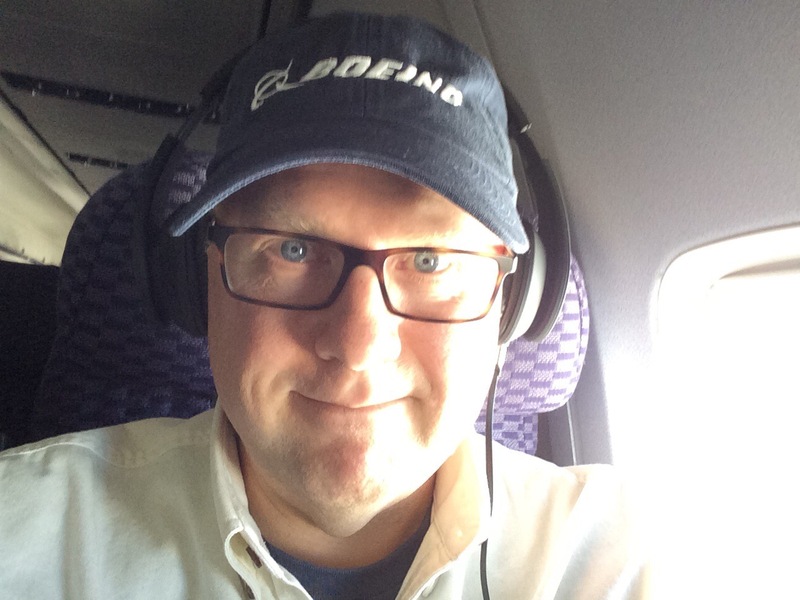 Now, after losing over 87 lbs since September 1, flying is once again the joy it used to be. Being able to glide down the aisle without bumping into people on either side is nice. The seats are finally wider than I am, and sitting next to someone isn’t stressful at all. 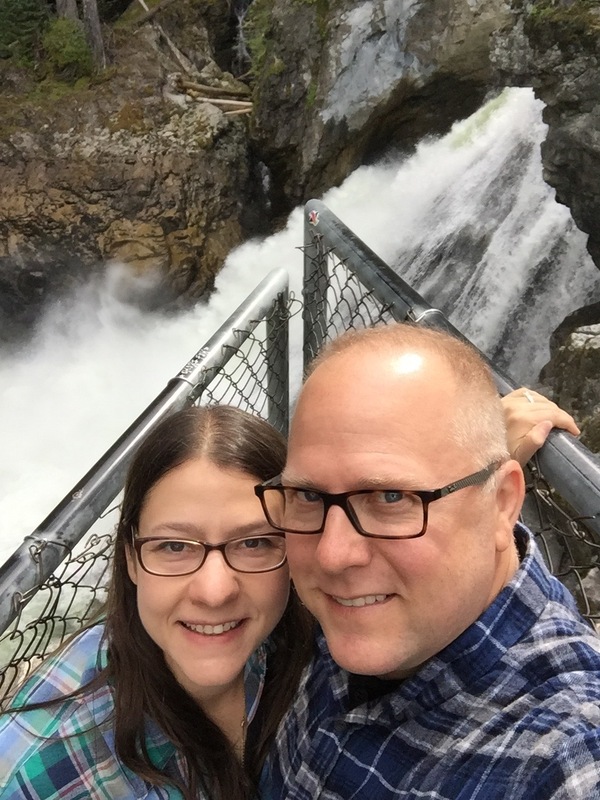 As a matter of fact, I flew next to my wife, and since we’ve both lost weight, neither of us were crowding the other (unless it was by choice). The seatbelt fit comfortably and normally (with LOTS of room left over on it!) and when I had to use the restroom, it was roomy and easy to move around in. If there was any true reward for losing the weight; for all the work, effort, and discipline with sticking to Paleo, this trip was it. People who say that going Paleo deprives them of too much don’t know what it’s like to be able to move around in an area where you were unable to before. I happily will continue to “deprive” myself of foods that are horrible for my body to be able to enjoy things like comfortable air travel. There is nothing so sweet as fitting comfortably into your environment. Oh… And I was able to write this post while sitting on the plane with the tray table not only folded down/out, but actually pulled out and away from the seat in front of me to bring it close to me. At lunch today, Stevie and I were talking about past diets and why we fell off of them and we came to the same conclusion: food satiety and variety. Most diets are restrictive in some form and require you to either eat a small subset of foods or very small portions. That makes the diet either low in satiety (not satisfying, doesn’t fill you up) or lacking in variety. Think of the Cabbage Soup diet: after a day of that, most people contemplate suicide. On Paleo, it is true: you have to give up grains, beans, and processed sugar. Some people say that grains and beans should be eaten on a balanced diet, but I (and those who adhere to and follow the Paleo lifestyle) beg to differ. My wife, me, and many of our family members and friends have been able to lose weight and get healthier by following the Paleo lifestyle without feeling like we’re missing out on anything. We also feel full after eating, and don’t get hungry again until it’s time to eat the next meal (unless we didn’t eat enough at the previous meal). I haven’t counted calories, counted points, used any pills, patches, or vitamins, or had any surgery or procedure. All I did was cut out grains, beans, and processed sugar. I lost 86 lbs in seven months with no exercise. It’s not magic; it’s a lifestyle. The most important thing about the weight loss is that during the entire journey so far, I’ve enjoyed the food I ate and didn’t have to LEARN to enjoy it; it’s really the same food as I’ve been eating all my life. I’ve also had a huge variety of food that is not only delicious, but fills me up. I can’t say the same about any other “Diet” I’ve been on in the past. And herein lies the major difference. Paleo is not a diet; it’s a lifestyle, and one that anyone can adopt. That lunch Stevie and I were at today? It was fast food: El Pollo Loco. We had the two-piece chicken meal with broccoli and I had the side-salad without the cheese or tortillas while Stevie had the mashed potatoes. I’m super-full now and I will be until dinner time. That’s how I was able to succeed on this eating plan, and how I’ll be able to continue to be successful. Oh… and things like having coffee in the mornings helps, too. Oh my goodness! As my wife and I prepare to go on vacation today, we both woke up a little earlier than normal, yet had nothing to do. We both packed completely last night, and all we need to do now is just wait for the time to go to the airport and depart. To kill some time and to celebrate the first day of our long-awaited (and much needed) vacation, my wife decided to make Paleo Blueberry Pancakes. I was a little incredulous, but they taste like pancakes. They have the same consistency as real pancakes. They even soak up the 100% pure organic maple syrup exactly like real pancakes. As far as I’m concerned, these were real pancakes. When I wrote about satiety, variety, and flavor, this is exactly what I was talking about. Our breakfasts this week included our normal bacon and eggs, french toast (made with Paleo bread Sherry made earlier in the week), and now these Paleo pancakes. I’m now completely full and still smiling from ear to ear: I love blueberries, and it’s been a very long time since I’ve had pancakes. People talk about having to give up delicious foods to lose weight and get healthy. I have no idea what the heck they’re talking about; I’m eating like a king. For the recipe, I’m certain Sherry will be posting it very soon on her blog. 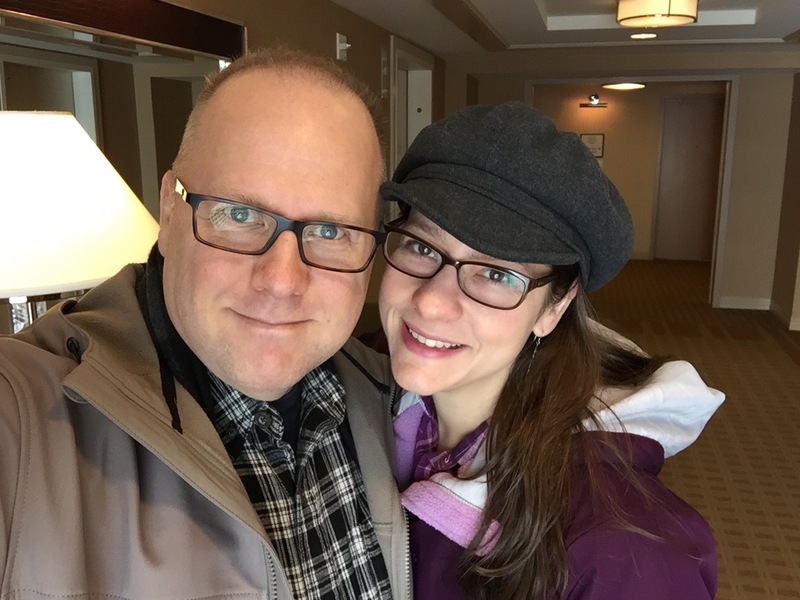 My wife says my blog is “Tough love.” She’s even gone so far as to say I’m mean on my blog. Well, perhaps I am. Maybe I don’t sugarcoat things or find the most tactful ways to say it. Maybe it’s because I’ve lied to myself and fed myself so many excuses over the years that I’m fed up with being nice about weight loss, health, and eating right. I got soft. I let myself go. I got fat. I needed to get back to being the Fit Marine I used to be, so I had to use the tool set I was given by the Corps to get my head back into the game and get my health back in order. I needed to get back into fighting shape. What better way to do it than to adopt the mindset I had when going through USMC Boot Camp and any other training I went through afterward? It worked then, so maybe it would work now. And work it did. And does. My blog is harsh sometimes. It’s very in-your-face about getting rid of the fat, getting into shape, eating right, and getting healthy. I write mostly for me; I’m my own primary audience, I guess. I’m hoping that through this blog, I can help or inspire others to embark on the same journey I’m on to better health and lower weight. At the least, perhaps someone will read my blog, become incensed, and find another blog that is kinder and gentler to their sensibilities to help them attain their health and/or weight goals. However, anyone who sticks around here is going to get unfettered and unfiltered input, advice, and feedback about weight loss and eating better. The major upside: better health. Marines are successful not because they carry big guns, but because they have a mindset that does not accept failure and always looks for avenues to succeed where most normal people would give up. I don’t expect every reader of my blog to be a Marine or have been a Marine, but I do hope that the readers accept responsibility for their condition and take the appropriate steps to reverse any damage done and to take back their health. It’s a mindset that succeeds, and that mindset has to be one of determination to get back into good health. Determination to not sabotage yourself. Determination to stick with it even when you see something you used to love to eat when you know you shouldn’t do it. My wife made the comment to me last night that being on Paleo has not been as hard as she thought it would be, and that now, it’s actually quite normal and even pleasurable. The meals we eat are delicious, the variety of the food is great, and the foods we can no longer eat really aren’t missed. Those foods that she thought she couldn’t live without? Turns out she can, and she does. So yes, I’m tough on myself, and in turn, to you, the reader of my blog. I am tough not because I want to turn you away or upset you, but because I care. I care about those who read this blog, and I think that by filtering or watering down my message does more a disservice than help. We’ve lied to ourselves long enough. We’ve tried being nice about our weight, our bad health, and our fat for too long. It’s time to get mad, get mean, and attack the problem at its core: the food we put into our faces, and in turn, into our bodies. Eat right and the good health will follow. Being Fat is Not Good for You! I get it. We’re not all made the same and we look different, and it’s wrong to judge people who are larger than we are. It’s the age of being politically correct, polite, and never coming out and saying the truth. Well, if the truth hurts you, please leave this blog now, because I’m about to say some things that I feel need to be said, have been backed up by science, and are most likely going to inflame some people. Here it is: Being fat is not healthy. Regardless of what some people say and no matter how much they try to rationalize it, being fat and being healthy are mutually exclusive. I used to be one of those people who used to lie through my teeth and proclaim my excellent health while I was fat. Nothing could be further from the truth, and I was not only lying, but deluding myself. I totally believed I was healthy even though I was at least 125 lbs overweight. I have seen many articles, TV shows, and other media where fat people say that they are being discriminated against due to their fatness (this is wrong, I will admit) and that they are just as healthy as anyone else (which is complete BS; sorry). Now, I was fortunate as a fat person that for the first ten years of my fatness, I remained relatively unscathed by the extra weight. My doctors attributed this to my excellent health pre-fat and to all the exercise I got when I was a Marine. They all told me that my run of avoiding the fat-related health issues would eventually end, and that I would start suffering from fat people diseases and maladies. They were 100% correct. I did eventually start to see the ill effects of my fatness, and the condition of my health was declining rapidly. My losing weight had everything to do with being healthy with the bonus of looking much better. I remember while fat thinking to myself, “I don’t look that fat. I don’t look that bad. I actually look pretty good for a guy who’s just a little bit bigger.” Only I wasn’t just a “Little bit bigger;” I was huge. Over 300 lbs huge for a man who stands 5’7″ tall. That’s not good at all. I was doing everything I could to convince myself I was okay, and in the process, was hurting my health. Friends were nice; they never called me fat (to my face) or made me feel anything other than loved. My family would have talks with me about losing weight, but they were gentle. Fortunately, it was my cousin Sarah who put it into terms that got through to me and provided me with methods that actually fit me, my personality, and my desired lifestyle: Whole30 and Paleo. The same person (me). The difference 100 lbs makes is immense. Do you like what you see when you see a picture of yourself? If not, imagine what your health is like. I had non-alcoholic fatty liver and diabetes. My blood pressure and cholesterol were rising with each doctor’s visit. I was experiencing nerve damage and reduced vision due to diabetes. The whole time, I was telling myself I was healthy and that I didn’t look “That fat.” That delusion was killing me, and if you’re saying those things to yourself, it could be killing you, too. Fortunately, there are ways to reverse the damage and to get healthier (and weigh less, too!). My path may not work for you, but I urge you to find your own way to better health. The life you save, in this case, is your own. I know some people will object to me calling my old self fat, referring to my past fatness, etc. Well, I was fat. I refuse to refer to my former self in any sort of euphemism that takes the edge off of what I was: dangerously overweight aka fat. I will, however, refrain from calling anyone else fat. It’s not nice, and I don’t want to hurt anyone’s feelings. But my own feelings? Fair game to me! I never want to be that way again, and I will fight tooth and nail to stay healthy, even if that means I have to exercise.